Homo History: Larry Kramer's Radically Gay Version of American History. Larry Kramer's Radically Gay Version of American History. Legendary playwright and gay-rights activist Larry Kramer gave the following speech at Yale 12 years after they had rejected a $7 million endowment for the school's Gay and Lesbian Association and Gay Student Center. He was there to receive their Lifetime Achievement Award and this is his speech. That Jamestown was America’s first community of homosexuals, men who came to not only live with each other as partners but to adopt and raise children bought from the Indians. Some even arranged wedding ceremonies for themselves. That George Washington was gay, and that his relationships with Alexander Hamilton and the Marquis de Lafayette were homosexual. And that his feelings for Hamilton led to a government and a country that became Hamiltonian rather than Jeffersonian. That Meriwether Lewis was in love with William Clark and committed suicide when their historic journey was over and he wouldn’t see Clark anymore. That Abraham Lincoln was gay and had many, many gay interactions, that his nervous breakdown occurred when he and his lover, Joshua Speed, were forced to part, and that his sensitivity to the slaves came from his firsthand knowledge of what it meant to be so very different. And that the possibility exists that Lincoln was murdered because he was gay and John Wilkes Booth, who was gay, knew this. That Franklin Pierce, who became one of America’s worst presidents, and Nathaniel Hawthorne, who became one of our greatest writers, as roommates at Bowdoin College had interactions that changed them both forever and, indeed, served as the wellspring for what Hawthorne came to write about. Pierce was gay. And Hawthorne? Herman Melville certainly wanted him to be. That most of the great actresses who endlessly toured America during the 19th century bringing theater to the masses were lesbians and occasionally dressed as men. Just like Katherine Hepburn. That the plague of AIDS was allowed to happen because much of the world hates us and most of the world knows nothing about us. They don’t know we are related to Washington and Lincoln. Happy Labor Day! More Pics! What's an 18th Century Lesbian to do? 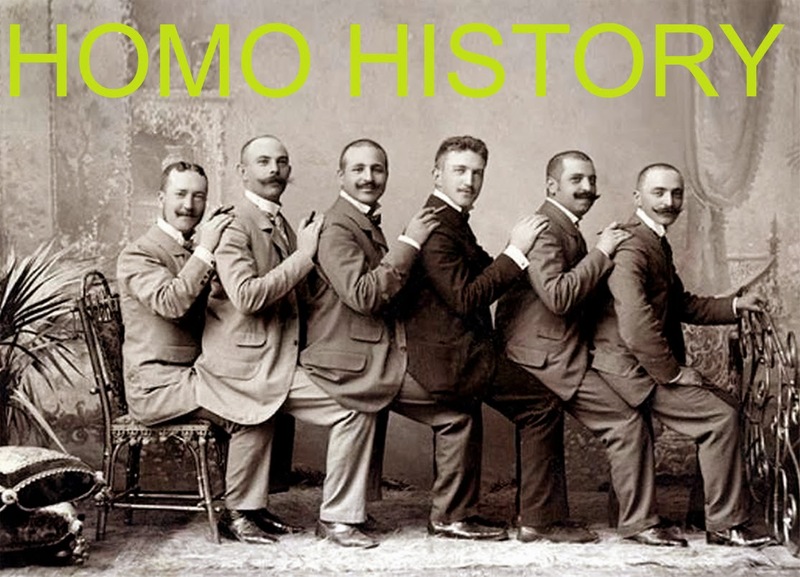 New " Vintage Gay Couples" photos! Abe Lincoln, Gay President of The United States? No Homo? I say, "Yes Homo!"